Originating on the Perseus arm planet Riishi, the Viskr are a roughly humanoid species. 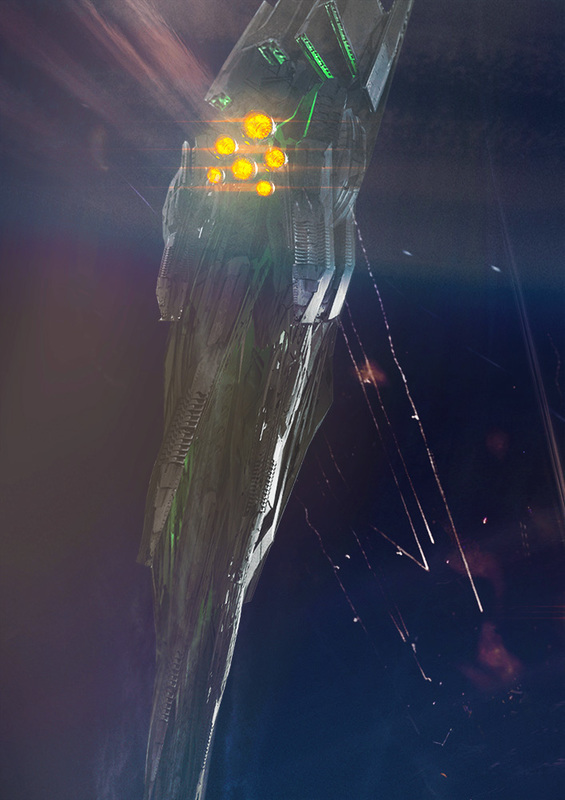 Their civilisation is technologically equivalent to the Imperial Combine, and they count hundreds of Perseus star systems in their territories. The Viskr are ruled over by a secretive, nepotistic military junta. Very little information is known about the internal workings of the Viskr Junta's cabinet, as they maintain no links to the Empire through trade, diplomacy, or even scientific cooperation. From 3719 to 3722 ELC, the Viskr Junta and the Imperial Combine were in a state of active warfare. The Empire referred to this as the Perseus conflict, and legally speaking the war never ended. While Viskr hostilities ceased abruptly after the decisive Battle of Chion, no treaties or accords were signed, and no terms were offered. The Viskr Junta relies heavily on mechanised warfare. Viskr ships use battle computers to analyse and predict enemy movements, and crew usually defer to the computers when selecting tactics. The Viskr armada typically favours low-cost, bulk vessels such as frigates and destroyers. Their powerful capital ships, however, are not to be dismissed. Skulkers are autonomous devices with basic intelligence. They can be deployed either to battlefields, or to any area the Viskr wish to make hostile to enemy troops. The skulker is an anti-infantry unit comprising a central core surrounded by razor-edged drive rings. Enemy units are attacked physically, and dragged fatally through the rings. Like skulkers, blitzers are autonomous anti-personnel devices. However, where skulkers are only of any use on the ground, blitzers stalk their prey from above. The factory-issue blitzer is a trigonal device propelled by enclosed rotor blades. It is armed with three small-calibre, rapid fire assault weapons, and is capable of firing these at independent targets. Many species use variations on the polybot theme. The Viskr Junta however has weaponised the polybot template to the point where it has become a hostile nightmare. Viskr combat polybots are modular units, capable of self-repair. They are fast, armed with a variety of close-quarter weapons, and will track targets relentlessly once locked on. The Viskr are a near-humanoid species. Although clearly animalia, and categorisable into the Chordate phylum, there is no subphylum on Earth which would serve as an appropriate analogue. They are eukaryotic heterotrophs. They have a four-limbed body plan, bilateral symmetry, and a sense arrangement which seems to be structurally identical to that of humans. During the Second Liberation of Mibes in March 3745 ELC, Euryce Eilentes had the opportunity to study a live Viskr in detail. It had rough, deeply fissured skin described as being like "old bark or thick, dried mud". This is without doubt the source of the pejorative name for the Viskr which arose during the Perseus conflict: 'Crusties'. Eilentes also noted that the head of the Viskr was a flattened diamond, its long axis parallel to the shoulders, with the frontal face being the deepest side. The Viskr had black eyes, placed slightly above the line of a narrow mouth. Two outward-bowing, bony ridges ran across the head from front to back, each beginning at a brow and ending on the back of the neck. There were rows of smaller bumps between the two ridges. The Viskr had clawed hands, and elongated ankle bones which give it a lurching, predatory appearance (→LOTD). The arrival of a Viskr representative on Earth — and later aboard the ICS Disputer — gave Elm Caden a chance to interact first hand. While doing so, he found that computer translations of the Viskr's speech patterns fell short. The translations indicated there are clear differences in the way humans and Viskr relate descriptions of objects, actions, and the position of events in time (→TRD).